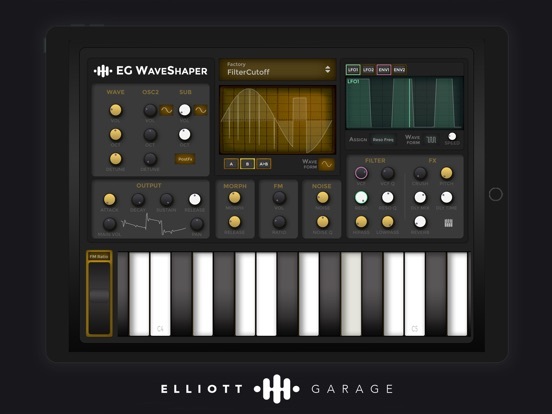 Elliott Garage just released EG WaveSHAPER. This is a hybrid Wavetable synthesizer with waveshaping built in to the design. There's even a way to morph between two wavetables. EG WaveSHAPER arrives with AUv3. Last week Doug Woods did a pre-release preview. Here's an official introduction from Elliott Garage!